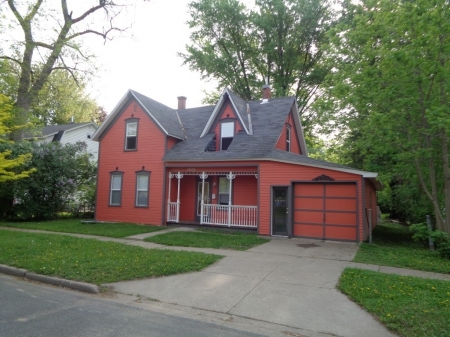 3 Bedroom, 2 Bath Menomonie Home For Sale. New windows, with some remodeling 3 years ago. New roof, water heater, and furnace 8 years ago. Huge back yard, 1 car attached garage. Natural gas water heater and range. Home For Sale! Executive Realty Team/Simey´s Premier Team is your first choice for residential real estate solutions in the Menomonie, WI 54751 market as well as surrounding real estate markets. Executive Realty Team/Simeys Premier Team has been the area sales leader since 2005. We continually search the mls or multiple listing service to keep up with current local real estate trends in the Menomonie area. We specialize in residential real estate, commercial, farms, max investment properties and vacant land. If you or someone you know is in the market to either purchase or sell real estate give us a call today at 715-231-7355! Executive Realty Team is a member of the WI mls. Simey Sells! Our Main office is located in the City of Menomonie Wisconsin, which is in Central Dunn County. 1120 North Broadway Menomonie WI, 54751 Whether you want one home or several homes we are here to help. We love real estate referrals. Active Menomonie and surrounding areas supporter in many ways. Menomonie real estate & homes for sale. If you have money laying around. You should re invest it in Menomonie real estate.